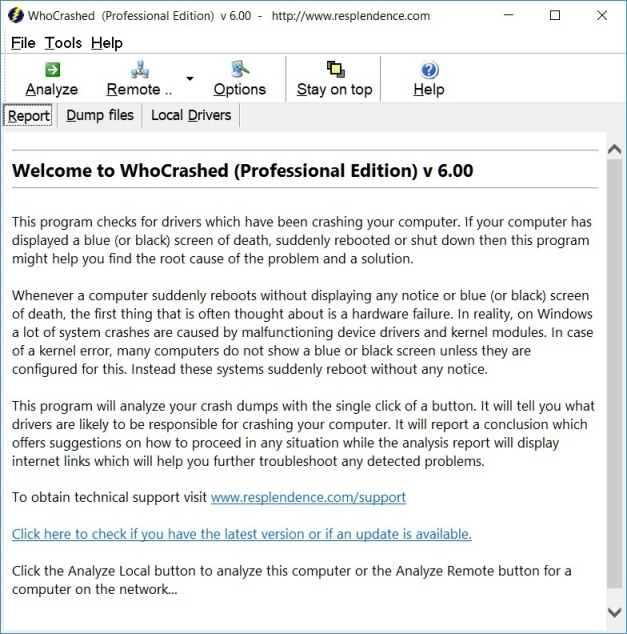 WhoCrashed will generate a comprehensible report after it has done analysis. 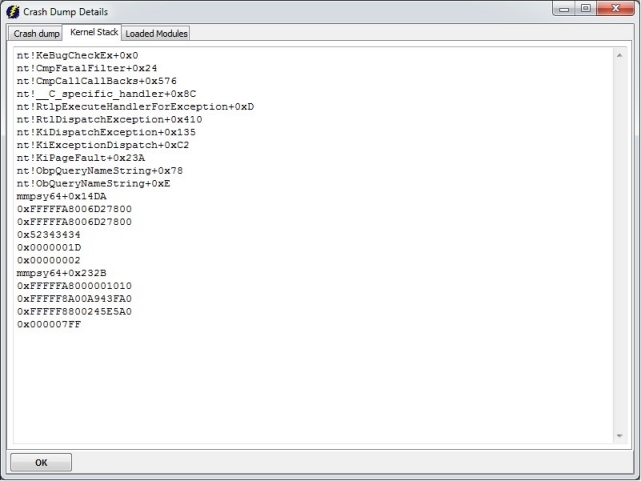 The dump file view displays all dump files found. 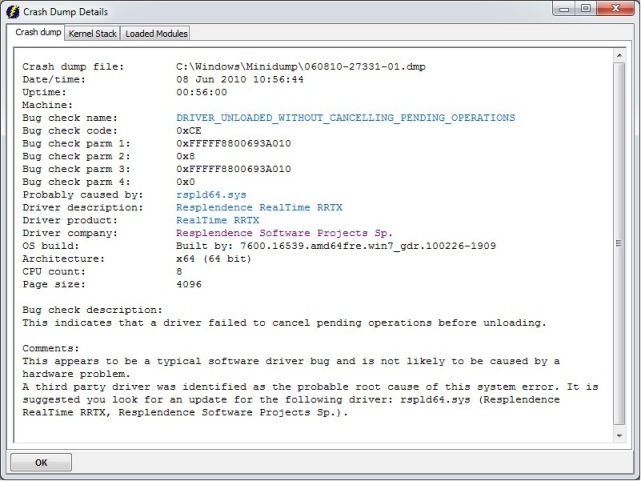 The dump details view displays in-depth information of a crash dump. 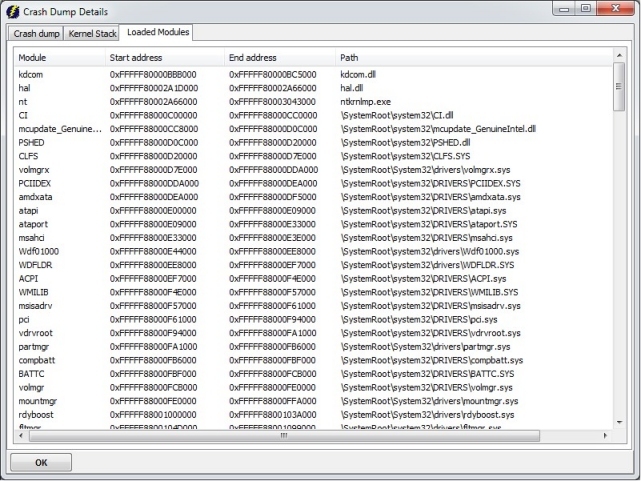 The dump details view displays kernel stack which allows you to find the path of execution leading to a system crash. 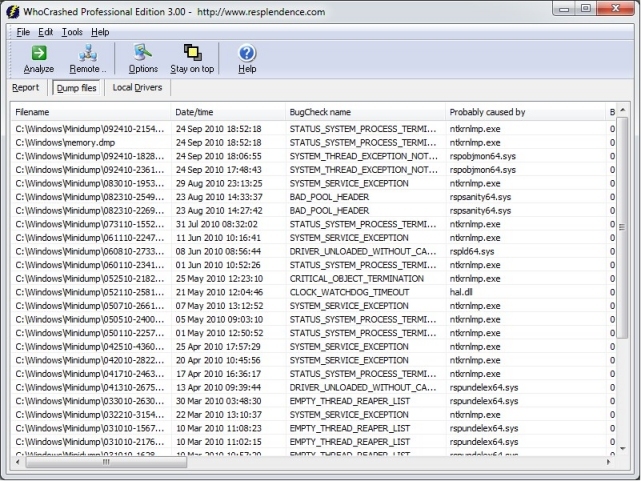 The list of loaded modules at the time a crash took place. Page generated on 4/19/2019 6:15:47 AM. Last updated on 5/9/2017 11:27:20 AM.